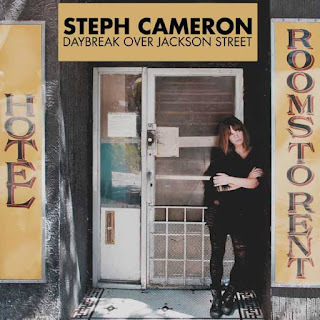 The magnitude of the sophomore album from Canadian folk artist Steph Cameron is that each play opens another window on the world of a lyricist on top of their game. DAYBREAK OVER JACKSON STREET had its Canadian birth in the spring and, with a helping hand from UK label At The Helm Records, it now takes flight across the Atlantic to mesmerise European audiences. This record may take a while to grasp, but the journey is a mighty satisfying one. While there is a degree of complex sophistication in Steph’s approach to song writing, an air of simplicity underpins the sound. This is a raw as acoustic sound as you could possibly get from a studio album. Without access to any credits, all you basically hear is Steph; her guitar and occasional harmonica, but that is sufficient to portray the worth of a high tensile record. With the UK release heralding a significant change in the seasons, you do feel the starkness of a Canadian winter running through the sound. Albeit, the homely vocals and perception of the guitar being a comfort blanket does ensure a warm glow permeates the cold. There is a strong folk revivalist feel to this record, thus cementing a sound akin with the street songs that represent the northern part of the American continent. With a fair proportion of UK folk vocalists heading into neo-classical territory, there is an opening for the more grounded singer-songwriter and the music of Steph Cameron fits the bill. The eleven tracks that form this album cover a diverse band of themes, moods and subjects. Any song analysis has to begin with the two-minute masterpiece of social commentary, which opens the album. ‘Daybreak Over Jackson Street’ doubles up as the title track and the coat hanger upon which to file this album in your mind. Whatever you take from the record as a whole, the melody adorning the lines ‘I tried to leave, I tried to run – They got me on the stunt I done’ is worth the admission price alone. Elsewhere, the tracks settle in little pockets. A dose of melancholy resides in the hard hitting and punchy ‘On My Mind’ and the narrative character-heavy ‘Richard’. Of course, sad songs = happy listener. Disagree – and you’re probably in the wrong place. However, Steph does make room for a little light and ‘Little Blue Bird’ opens the door to some feel-good relief. Later in the track running order, ‘Sing For Me’ relights the flame of positivity from an idealistic standpoint. The song that probably travels the furthest to epitomise the record is ‘Winterwood’. Apart from the obvious seasonal connotation and maybe autobiographical slant with Steph’s home town of Saskatoon being referenced, its perceived radiance of peace in solitude may resonate with singer-songwriters ploughing a lonely furrow in pursuit of their art. Of course, every album needs a decent selling hook and ‘Young and Living Free’ does the job here with a high degree of class. A pertinent, pondering closer suits this type of ‘thinking’ record and ‘Peace is Hard to Find’ slots in neatly with its traditional feel and more than a nod in the melody direction to ‘Shady Grove’. All that is required now is a nostalgic epic, and at five minutes long, the lyric laden ‘California’ conforms to type. ‘You Oughta Know By Now’ and ‘That is What Love Is’ complete the line-up and synchronise perfectly into the album’s ambience without veering too much into comment territory. On the day that this album is released in the UK, news surfaced of dates over here in the New Year. This will be the perfect opportunity for the artist to furnish the listener with further thoughts on influence and interpretation. 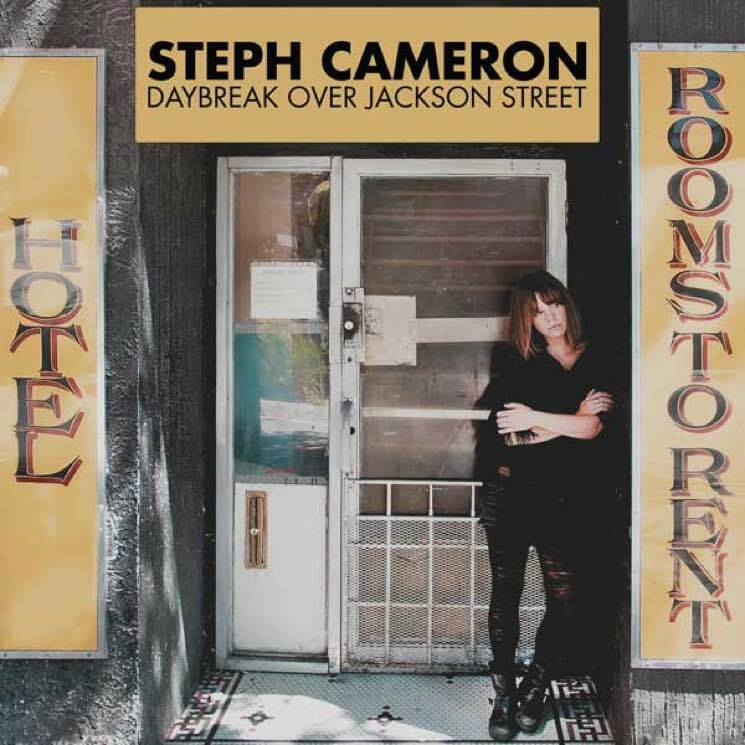 In the meantime, the pedigree status of DAYBREAK OVER JACKSON STREET will ensure the music of Steph Cameron gets a warm reception overseas. An album to savour for all those smart enough to check in.